$200 is for the original acrylic painting. Don't worry! The annoying watermarks are never on the actual artwork. That is just to protect my art from illegal pirates who roam the internet seas in search of victims. Arrrrrgh! You would never do that because you are nice! These roses lives in my front yard. Every June that rose bush is a blaze of pink roses, as if it is a huge heavenly choir singing His praises. 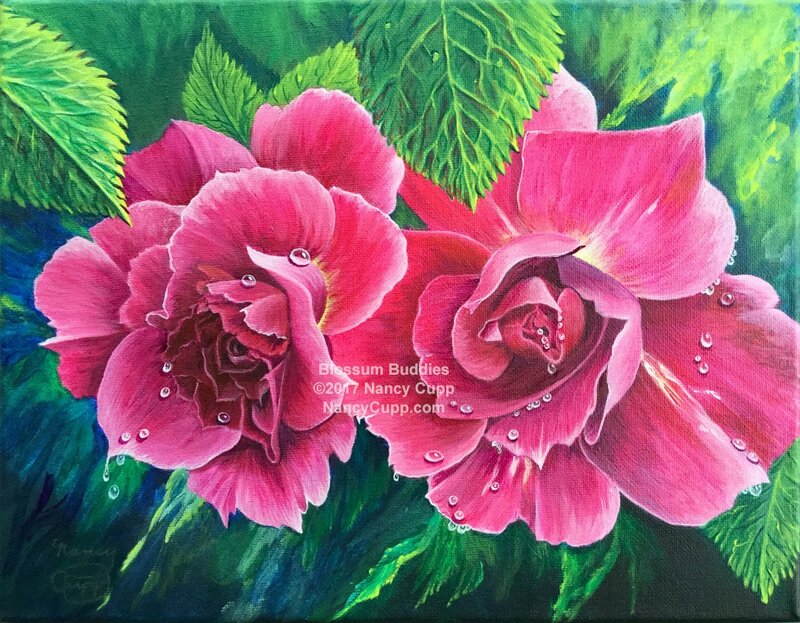 I named this painting Blossom Buddies, because they were growing so close to each other, like good buddies. Friends come and go, but, there is a very special friend that sticks closer than a brother. There is no greater friend than Jesus. He chose us to be His friends. What a privilege and honor to call Him my Friend! ​TALK ABOUT FRIENDS IN HIGH PLACES!